A week ago when I published this blog article, it was after seeing YouTube plagiarism hitting all new levels. What drove my decision to write, was that I saw the post mentioned below – and decided to write. Why specifically this one? I know Steve (FlightChops) personally, we have studied together, he has helped me, I have appeared in his vlog before. I want to be 100% clear – nobody asked me to write this. NOBODY. I don’t write FOR anyone, I am not a shill, or narcissistic enough to think that I have some kind of internet clout. This morning I received a message asking if I would take this blog article down from Steve (FlightChops). I simply won’t do that. Nothing I have said is incorrect or untrue, and the rest is my personal opinion. I told him that you can’t turn back the clock, and newspapers don’t print retractions simply because someone doesn’t like the content. In actuality, Steve (FlightChops) was not super happy I wrote this BLOG, because it is causing him some problems. I am stuck in a hard place between a professional acquaintance – and my journalistic integrity. That being said, I welcome both Steve (FlightChops) and Steveo1Kinevo to send me their comments and/or statements – and I will post them verbatim here on my blog, or they can feel free to post it anywhere they want, or use the comment section. There are many YouTubers out there who have literally millions of followers, PewDiePie, Casey Neistat – go ahead and pick one. There are innovators within the YouTube platform that came up with amazing ways to do things, the “vlogging” format was not invented by Neistat, but he found a way to make it compelling enough to make a living on it. Then look at someone like Devin Graham of DevinsuperTramp. Devin and the team at Supertramp built a business out of compelling viral type videos and stunts. Each has their own unique style, and while there are many that clone, copy or even build videos on “How to VLOG like Casey Neistat” these people are just using his method. Here is a video posted by “FlightChops” Steve Thorne who was one of the original YouTubers in the private pilot aviation world. As he says himself “I basically made a job by sucking”. This video below posted just over a year ago went accidentally viral. Steve doesn’t do viral videos, he just does Steve. 4.5 Million Views, his most popular video ever and some pretty cool content. Fast forward a year later and fellow YouTuber steveo1kinevo (Steve Nazer) posts this gem as seen below. Basically the same screen shot, and nearly the same title. The issue goes one step further. Steveo1kinevo also prunes, and blocks any account that posts any form of negative comment about his content. A number of comments were left calling him out on this plagiarism, but he immediately removed those after he noticed them. Anyone who posts comments about his flagrant use of the EXACT music tracks that Neistat uses, or his obvious use of a Boosted Board in his videos is immediately filtered. To be clear, I live in Toronto, and I actually know Steve Flightchops, but that doesn’t change the facts of what I have posted above. While they say that imitation is the finest forms of flattery, I would say that in this case, it feels more like a case of trade dress infringement is the worst kind of plagiarism. For Flightchops, this is his livelihood, his career and his art. For those plagiarizing, it’s “just a youtube channel”. If it wasn’t so blatantly obvious, and if some attribution to the original work was at least provided, and comments mentioning that someone else did it first and this deserves credit where it is due were not deleted. It wouldn’t feel so wrong. On YouTube – Content is king, and many people will run out there and try to cash in on your good fortune. I just wish people were a little more honest. I am not a software developer. This is a gift. I know many people that are, just like the matrix, they don’t even see the code – they see the solution, the answer, the journey. I see an empty IDE and no idea where to even start. I have spent my entire career trying to figure out what the next big thing is, or what I thought was up and coming – and spending time on that. Mostly because I thought it was cool and fun. However now I reach this impasse where every cool and interesting thing I want to get involved in ends up with some kind of code based development requirement, or even simple API implementation to do things that are cool and not out of the box. In a recent conversation with a Sr engineer from Google she told me “Network Architects are insane, how you can understand all of that I will never understand” – I told her, I felt the same about software developers. Perhaps we could learn from each other in that regard, I told her I understood how she feels. Software developers think “It’s really easy, I don’t understand why you don’t get it” or “Just do X / Y / X”. “Just learn Node.JS”. I see networks and I see Chopin, but when it comes to code, I can barely play chopsticks. Some days I stare at my console and think “I could do this if I could only figure that out”. It pains me when people say “We have an easy to use API Kit” or “We have an easy to use REST-API”. My industry is transforming, to a software defined world. The last time I touched a line of code was Borland Turbo C in college, and before that it was Visual Basic 1.0 in high school. Recently I started to touch micro-controllers, and “program” in the Arduino IDE. I have built some small projects by mostly cut-pasting code examples and other projects, cobbling together code bits to get what I needed, hardly programming but it is as close as I have been to any kind of code. Part of why it worked for me was, it is linear execution, which I understand a little. I’m not going to be, let’s be honest, I will not be the next major software genius that writes the next big blockchain based super electronic currency, or code part of the next World of Warcraft series. There is however some things I need to be able to do, make one API talk to another, and collect information from one API into a database and then do things with it. Nothing that is ground breaking. I need to be able to automate things, inform intent in networks with context from…. well…. whatever it is I need. Create basic things. So for that reason I will take these next 12 months to take a shot at it. I have a great support system where I work now – with our developer network to back me, and some close friends who have offered the support to hold my hand. Will this work? I don’t know, but I feel that it is something very important. In the end I don’t need to develop code as beautiful as Chopin, but I need to play some Fur Elise. This has been my first post in awhile. With my new gig, I have been very very busy, much of the things I work on – I cannot blog about. Sometimes I tweet a bit about what is going on, snippets here and there but nothing that hits me and says “Bloggable” – so for those that follow, more will come. 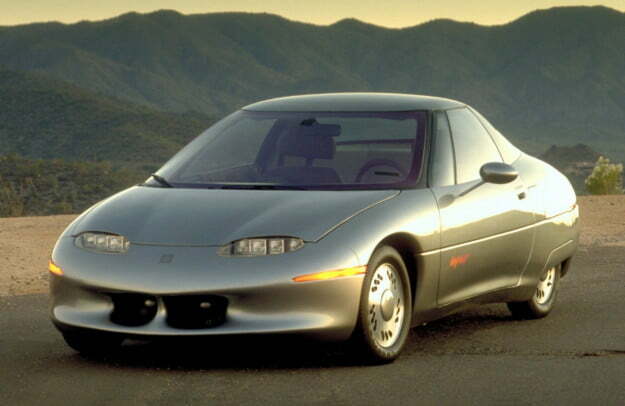 Back in the 90’s during a trip to Florida, a gentlemen asked me if I wanted to drive a car called the “EV1” – a 60-100 mile range EV manufactured by General Motors. At the time I didn’t drive the car on a roadway, but on a dyno. I was instantly hooked, instant smooth acceleration, a unique and futuristic vehicle. I knew at this point I wanted an electric vehicle, and this would be the future. Realism kicked in – at the time I lived well over 60 miles from where I worked, my life had me driving 150+ miles in a single day and owning an electric was simply not feasible in my life – that and the GM EV1 was only ever leased in California. It also came with Lead Acid batteries or later on NiMH which resulted in heavy weight, low life and limited places to charge but at home (some public locations existed). An interior that was years ahead of its time made the entire car look very futuristic. Eventually just like GM killed the Pontiac Fiero (Which I happened to be driving at the time) the GM EV1 leases were all cancelled, owners FORCED to return their cars, and they were almost all destroyed except a few that remain on inactive display today. Go and check out “Who Killed The Electric Car” for the whole story, it is a good one. Hybrids and What We Learned? I’m not here to discuss these – they are complex – which is part of the problem. Take a complicated internal combustion based vehicle, add in electric, then try to combine it – make things even more complex and voila – great car. However not without challenges. To add some context, I did own a 2009 Toyota Prius – also known as the “Gen 2” which was an amazing car, I loved owning it. It was futuristic, and gave me a little bit of the feel of the GM EV1, the electric power was amazing, I could force the car to drive only on battery which was an amazing feeling that only those who have driven an EV can describe. Sure it only went 5KM and only under 50KPH, but it was PURE battery. This ended up being a software related problem, they claimed they fixed it – but I still had issues. They also claimed my car wasn’t affected. Why is this relevant? All electric cars have one problem – power – they can quickly and easily destroy themselves because the motors have instantaneous torque – so complex traction control or torque control systems need to be used to ensure the electric motor doesn’t just spin the tires endlessly. Think of it this way – electric motors can put out maximum torque at zero RPM instantly. Gasoline engines have to “rev up” or get moving somewhere into their power band before they deliver maximum torque, so there is little shock on the drive system. Electric motors have enough power to just twist stuff. “Range Extended” EV cars exist today, some where the engine only charges the batteries like the “Volt” – I see these cars as a stop gap measure, but they are here to stay. Mechanically driven Hybrids will remain in the performance market, but in the cheap car world, systems similar to the Volt will be popular simply because they are less complex. Surprising but, we have not come very far, if you put aside the DIY’s and the one off EV cars the first mass produced generally accepted electric, was without question the Nissan Leaf, first delivered in 2010. Part of the reason for this long gap is very simple – battery technology. The Leaf used Lithium Ion, lighter weight and a higher energy charge per pound. The styling left something to be desired and the range was only about 110km (depending) due to the very small 24KWh batteries. Many followed suit with similar cars with similar poor performance, 0-60 times near 10 seconds and ranges as low as 60KM and as high as 150km – but still nothing that could get the average long distance commuter to and from work and to the grocery store without relying on charging stations that didn’t exist. Things are improving, with current EV’s available with BIG incentives in many regions, where I live there is a $14,000 incentive from the government, but that was recently revoked for any car worth over $75K (Rich person tax) and rumors have that incentive going away completely. What can you get today? A short example is the Smart ForTwo EV (135KM), Ford Focus Electric (185KM), Nissan Leaf (150km), Hyundai Ionic (180KM), Kia Soul (150km), VW E-Golf (140km), Chevy Bolt EV (350KM), BMW i3 (156km), and of course, Tesla. However with the rare exception of the not widely known about Chevy Bolt EV, all of these have very small batteries designed for city runabouts. Most have 25ish KWh batteries, with the Bolt around 60kwh, and the Tesla with various ranges. We also have this problem of range ratings – depending on which range “test” you look at it varies by 30% – well if I need to get to work 70KM each way and I buy a Focus Electric because it’s supposed to 185KM, and doesn’t – I’m not going to be happy – also keep in mind weather plays a HUGE factor on electric range, to the tune of 30%. It would be difficult not to suggest that the current EV revolution was largely at the behest of Elon Musk. A man sometimes compared to the late Steve Jobs in how he manages companies and builds empires. He started a bunch of businesses that he sold and eventually one of them was “PayPal” which he sold to E-Bay for 1.5 billion. Many credit Elon Musk for starting Tesla but that isn’t actually true, he started there as an investor, eventually taking control of the company and turning it into what it is today. Musk focuses the company on battery and drive train technology, with the intent to build a system that can be used by all automakers – focusing on the real problems associated with EV’s, battery technology, charging and reliable drive trains. His goal was to create the $30K USD EV car – and with the Model 3, he is coming close to that. The Tesla Model S was the first generally available EV Car that exceeded the 200 mile range even with the small P60 model with the P100D model surpassing 300 miles. However prices approaching 6 figures are pretty common, a base Model S will run you $75K USD, a Model 3 with the longer range battery will run you $44K+ USD. These are not inexpensive. Tesla is however pushing this forward, and unlike the “big 3” and the overseas car makers, they have no petrol past to worry about, only an electric future. Somehow Tesla managed to get a $250 Million dollar interest free loan from 250,000 people who plopped down $1000 to get in “line” for a Model 3 that might be delivered at some point, maybe in the near future with no promises. From a company that has a history of late vehicle delivery I might add. People are actually getting those cars, but I will be honest, the car isn’t without it’s quibbles and problems, and, it is still a premium car. Many who are willing to plunk down $80K+ simply cannot because the company just cannot deliver cars fast enough, that is a nice business problem to have but if Tesla does not figure out how to fix it soon, other car makers are going to start eating away at their market share quickly. Most of the Tesla problems are related to manual manufacturing processes in their facilities and problems with automation – things are just happening too slowly. Just about every car maker has cars coming in 2019 that will exceed 200 miles (325KM). Nissan’s very popular Leaf (arguable the most popular EV next to Tesla) is rumored to have over 225 mile range, the Bolt EV is already there, Hyundai claims the new Kona will have 250 mile range. 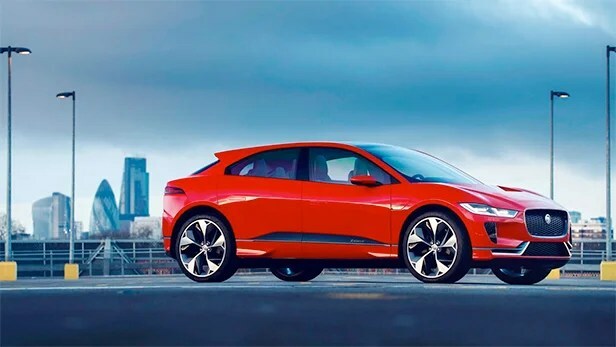 Jag has an SUV coming called the ipace with 239 mile range and over 500FT/lbs of torque carrying a 90KWh battery for $69K USD. A shot across the bow at the Tesla Model-X for sure, and for a significantly lower price. 2019 will be the year when EV goes mainstream (In my opinion). CUV/SUV cars that are fully battery operated are showing up, and performance cars have already started to integrate the extreme performance that only electric can provide. What this also means is – let the battle begin on price. Tesla will start to feel the heat, with other car makers figuring out how to actually deliver cars, Tesla will be left behind if they cannot figure out how to actually deliver product. Owning an EV is not without its challenges, just to name a few lets talk about them, you might be surprised. Then we have “Level 3” chargers, which are designed to fill your battery from empty to almost full in 30ish minutes. There is no clear standard here and the entire world seems to still be arguing. They do this by basically bypassing the internal A/C charger on board and delivering DC power direct to the battery cells. These fit into 3 standards as the most common. CHAdeMO (Left) a japanese standard and CSS (right) a more North American standard. The CHAdeMO became popular because the Nissan Leaf uses it, and the popularity of that car drove adoption of that plug standard. Here is the best part, because of various technical reasons – an adapter from CHAdeMO to CSS is not impossible, but would be VERY expensive to build, Tesla makes a CHAdeMO to Tesla adapter, but not CSS. From where I sit, CHAdeMO is on its way out, CSS is going to win this battle, even the european union is looking at passing a law to remove subsidy for CHAdeMO installs. Luckily right now, most stations have BOTH. As per normal Tesla didn’t follow suit, part of the reason is that they recognize that people need to charge – FAST, double the speed of most Level 3 chargers – they created their own system called “Supercharger” and even went so far as to deploy a network of them realizing if they were going to sell EV’s then people will need a place to charge them, their chargers using their own technology charge must faster than their counterparts. I will give Telsa one thing, their connectors are much nicer looking than the counterparts. They call it the UMC, but now depending on the market the cars are sold in – some are coming with standard Type 2 connectors. Most of the companies are getting around this worry by consumers by basically providing a REALLY long warranty, 8 years and 192,000 KM from Tesla, longer than some of the others. We also have not had mainstream EV’s long enough to understand what a battery replacement would cost – nobody has had their Tesla long enough. Nissan Leaf owners have seen $5,000 USD to $8,000 USD prices on replacement batteries, but it seems they replace most under warranty. Tesla batteries have a price around $12,000 for some Model S cars, the bottom line is these are expensive. 70% design life seems to be the magic number in the industry, once your battery loses 30% of the capacity, the battery is considered failed and your manufacturer will replace it. Under 60K Miles in the Leaf, regardless of age, Nissan has been known to just replace the pack. Tesla is very hush hush about the work they do – they tend to “Just fix it” and send people on their happy way. The bottom line is, there is tons of good will going on, car makers need people to trust the technology and not worry about the batteries, so they are offering this kind of coverage. Most manufacturers are stating that the batteries will survive the life of the chassis – I am not sure I agree with that statement. The current Nissan Leaf batteries switched to a passive cooling system instead of active cooling – users all over the internet are talking about early battery degradation – cost savings by Nissan, but is it hurting the opinions of EV owners? The internet opinions suggests it does. One look at this map and one might think “Wow they are everywhere”. However there are challenges, many are restricted access, many require paying for expensive parking to access, some charge you to use them and sometimes at rates that are higher than what it would cost to fill a gasoline vehicle. Some are very busy stations and often full. Then there is plug standards, only about 15% are Level 3 fast chargers, the rest are J1772 Level 2 – remember 4-8 hours to charge depending on your particular car, but wait, the J1772 chargers are typically 30A Max. Many of the public charging stations can be limited by the installer, many are 7-10A maximum. Why? To limit how much they are putting in your car, after all someone has to pay for the power. “Free” charging is pretty common right now, but that is changing quickly, some “free” charging comes with a expensive parking charge – at least you get something out of that deal, but if it is 7A, and you are there for 1HR, that is not going to net you very much additional range. It would also appear that many that charge are doing so based on TIME – and not KWH, which is pretty poor when you consider they are limiting you to less than 30A, so a 1 hour charge might cost you $15 – but only net you 25 miles of additional range, that is exceeding gasoline costs. The last problem is – etiquette, some EV owners are of the opinion once your car is full, you should return to your spot and move it – giving the spot to someone else to use. Many feel the spot is theirs, and they are not moving. Do you move your car mid day today? Probably not. Our minds and mind-set needs to change, but fights over charger access do occur. In my opinion public charging stations should be considered a nice convenience, but if your intention is to buy an EV – and rely on public charging stations to complete your journey – you are making a big mistake. You cannot rely on their availability, or output. Nuff said. Right now if every person was using 7.2Kw to charge at least 1 car in the garage, based on the math on the street I live on – only half the houses on my street could do it before it overloads just the transformer on my street. The grid is far from ready for this explosion. Also what happens when “Sorry boss power went out, couldn’t charge the car” is your excuse at work? Is that going to fly? We are on the cusp of an EV revolution, with reasonable prices on vehicles that go the distance and are practical. I have said for years, the first EV that is $25K USD, that goes 350 Miles on a charge will win the electric car game. We are not there yet and will not be, my guess is 2022. I need to do ‘the things I want in a single day’ without thinking about charging in order for this EV thing to work. We are close to that, we are there for those who live in the city, but for commuters like me, like I said, 2019 will be an interesting year. The bottom line is, for electric cars – EVs to catch on, we need to eliminate the fuel stops, because with EV’s right now charging the car in the 200 seconds it takes to fill my VW Golf simply isn’t possible, but I hear they are working on that too. I simply cannot go about my day depending on access to a limited charger network that has limited reliability, limited spots, and a long charge time, I have to go about my business and make it home – no range anxiety and no questions asked. A two car family could probably own one petrol car, and one EV – long trips you grab the Petrol car, but day to day, the EV becomes the choice. Time will tell – for me – my next purchase will probably be one of these EVs, that I know for sure. I sat down with @SCOTTHOGG who literally wrote the book on IPV6 security for Cisco, and talked about why YOU need to learn about IPV6 and IPV6 security, even if you do not run IPV6 today. The game is changing, and many people have zero clue about IPV6, how it works and how to secure it, meanwhile pretty much every network around IS actually running it. Check out the latest episode of Cisco Champions Radio. As you know, I was previously a Tech Field Day delegate, many people have asked me “What is Tech Field Day” and how did it start? Well, I grabbed Stephen Foskett at Cisco Live this year, and asked him those questions in my in-depth interview. Check out the link and the audio below..
Back at Cisco Live in June, I had a chance to sit down with David Zacks – Distinguished Engineer at Cisco Systems and talk about Catalyst 9K, and the importance of Flexible Infrastructure. It was a great honour to get a chance to sit with Dave and talk about Cat 9K and microsegmentation and how Cisco has really changed the way they create hardware.